Family run business Clipex knows what it means to start from scratch. What started out as an idea at a farm in Goldburn, is now the strongest fencing system in the world. However, the road to success wasn’t without its usual bumps and detours. When they first started, there were sceptics who doubted the kind of innovation they were doing to fencing systems. But with a lot of hard work, Clipex revolutionised the industry with the biggest change in fencing technology in over 100 years. Today, this small family run business has come a long way to becoming a national leader in fencing systems all across Australia. But, as expected, rapid growth came with a new set of challenges. They had expanded to six stores strewn across the country. The problem was their phone system wasn’t keeping up with their growth. They were losing calls due to staff being busy and unavailable. Their overflow options just weren’t working as well as they wanted and needed it to. Missed calls or hang ups mean lost sales due to inefficiencies in their own system. Clipex is not the first business to face this kind of problem. This issue is common among SMEs that are expanding and growing. Suddenly, a simple solution does not work anymore. This is exactly why residential phone services simply won’t work for businesses that have expansion in mind. When it comes to business communication solutions, it is vital that it has the capacity to grow with you. Customisation and scalability should be a priority when choosing a business phone system. We know that there is no one size fits all formula for effective business phone solutions. Every system should be tailor-fit to the client’s specific needs. This was exactly what Clipex needed. Through Alltel Call Centre Solutions, we were able to make their call flow more efficient, ensuring all of their sales calls are captured. Region based routing, local and national overflow options, and multiple voicemail boxes were just what they needed. Calls now go to each retail store and overflow to nearby sales stores before going national. This way, the customers wait on a queue instead of immediately ringing out. Each call flow has a voicemail option at the end as well, so customers have the option to leave a message, covering all bases. Who benefits the most from all this? Of course, their customers! Today, all sales calls flow efficiently, with each call answered and promptly attended to. Happy callers also make a better experience for their sales staff. With these simple changes, we have helped Clipex effectively future-proof their business phone system for expansion. Ready to join the growing list of successful Australian businesses enjoying top notch Alltel services? Call us now at 1300 ALLTEL, or visit us at www.alltel.com.au. Get a full-featured, enterprise grade phone system on a small business budget. Run your existing IP-PBX on our VoIP network for lower call rates and better reliability. Enjoy business functionality across multiple devices with a unified communications system. Nothing makes us happier than seeing businesses grow with the help of Alltel services and business phone systems. After all, our main goal is to help our customers identify their needs and craft solutions that will make them work more efficiently, and communicate better. 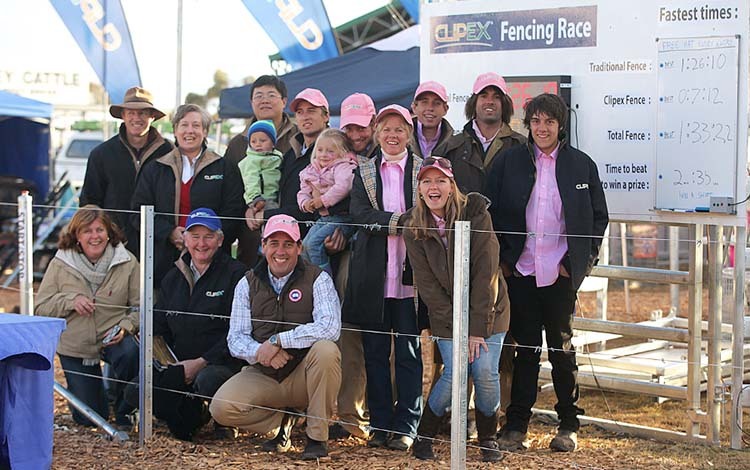 Such was the case with the success story we’d like to share with you which is of our client, Clipex Fencing & Stockyards.